Our location is strategic for your groups. 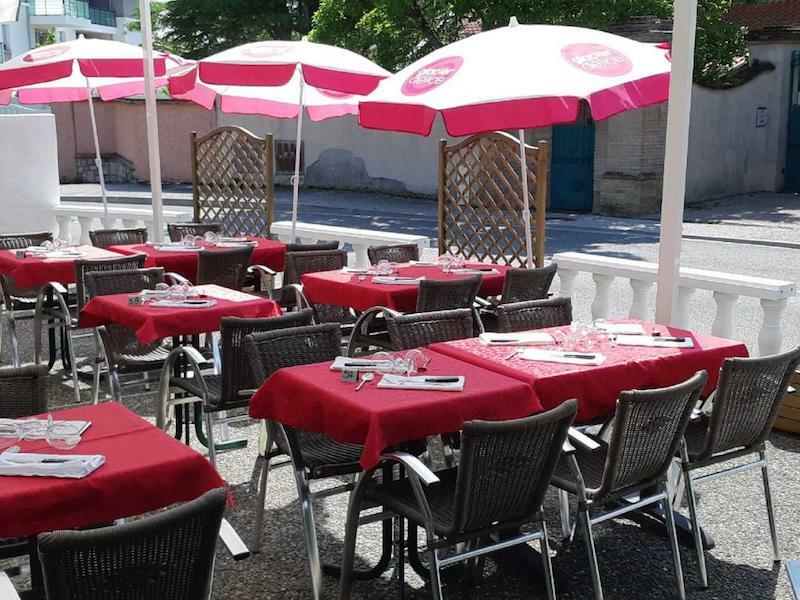 We are located 15/20 minutes from center town, close to the airport (less than 5 kilometers), in Beauzelle city. 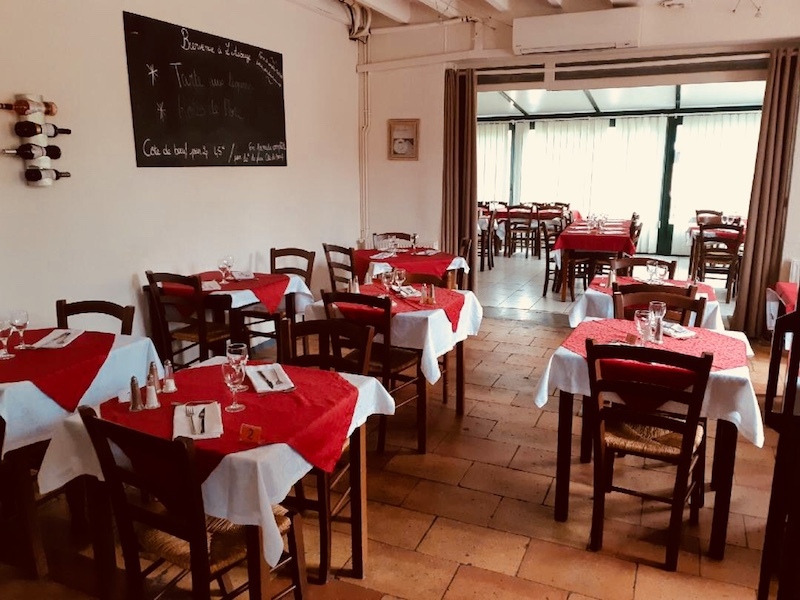 In a typical house from Toulouse, built in the 18th century, with apparent stone, you will discover the traditional cooking way of our place, 100% “home made”. 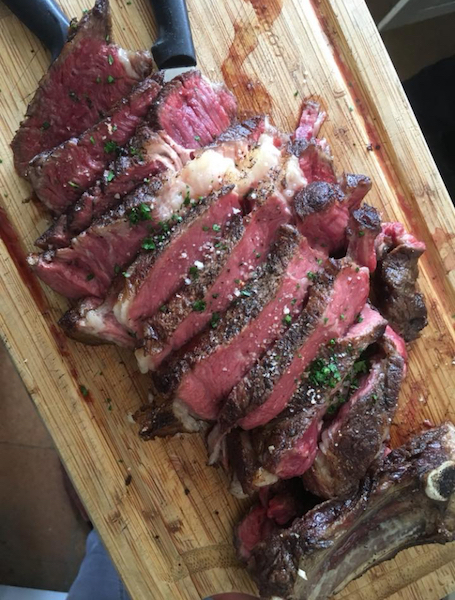 For lunchtime, the chief proposes to his customers a set menu for 14,45 €, including a choice of first courses, as a main course, you will have choice between grilled meat in a fire place, fresh fish coming from the market, or a local speciality, a choice of desserts, 1/4 L of wine, and coffee! ( from Monday to Friday lunchtime, except bank holidays) The whole shift is at your disposal, so that you can spend a nice time. We are specialized in welcoming groups. We propose three rooms, one of them including 50 places, and allowing to receive one bus passengers. We are close to the Aeroscopia. Our home made cassoulet is much appreciated, as our foie gras and our gourmet salad made from gizzards. The rustic surroundings of our structure brings an added value and your tourists groups will live a culinary experience which, I’m sure, will remain a good memory. We also have provided one room with a video projector. 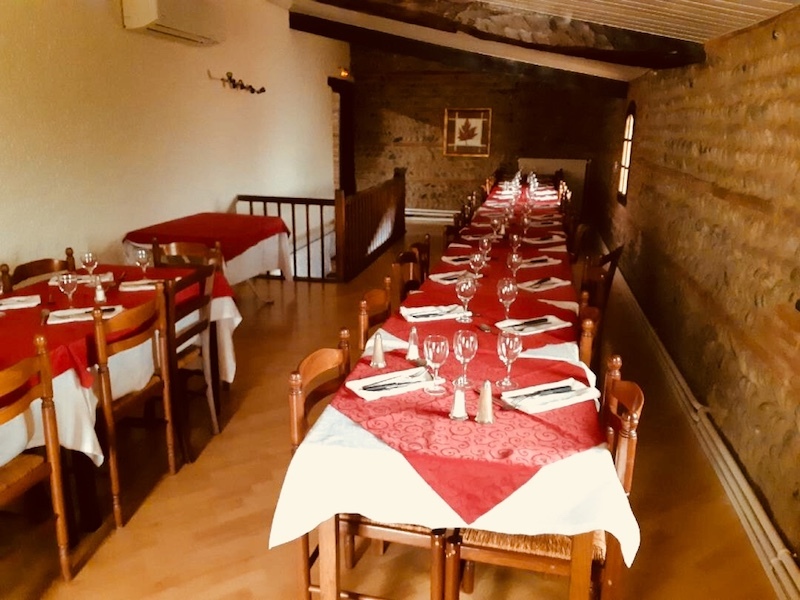 Please consult us for the prices and menus, we propose menus all inclusive, from 17 euros for the groups (first course, main course, dessert, 1/4 L of wine, and coffe), open for groups 7/7 lunch and diner.